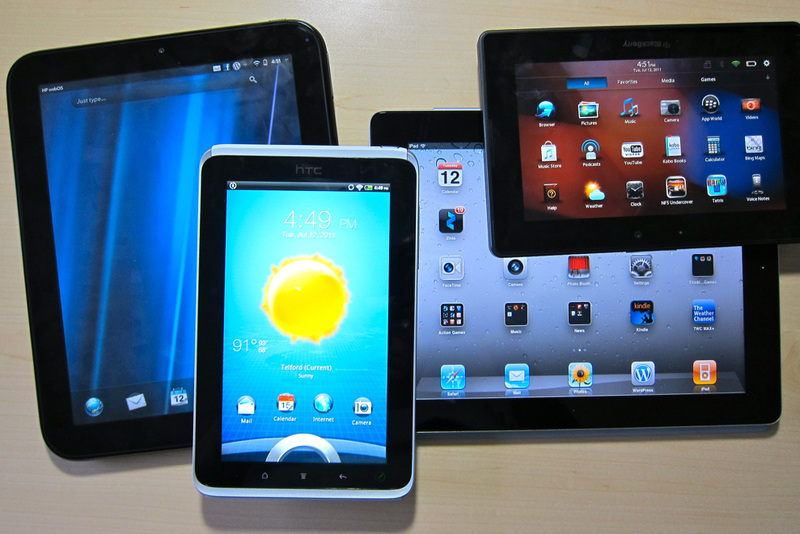 Which is the best tablet for you? Looking back in time, there effectively were no consumer tablets in the beginning of 2010. Sure, Microsoft (s msft) had Tablet PCs for nearly a decade prior, but these were heavy, had relatively short battery life and suffered from a desktop operating system that wasn’t optimized for mobile use. It was Apple’s (s aapl) original iPad, debuting on store shelves in April of 2010, that kicked off the current tablet frenzy. Since then, companies have jumped into this hot market, hoping to score some of the estimated 53.5 million tablet sales that research firm IDC expects this year alone. Tablet market recap: how did we get here? It took time for iPad competitors to appear, however, as Research In Motion (s rimm), HP (s hpq), Samsung and many others scrambled to create or use new mobile operating system for such devices. At the Consumer Electronics Show this past January, a full eight months after the first iPad arrived, a slew of Google Android tablets were shown off, and I had my first hands-on experiences with RIM’s BlackBerry Playbook. 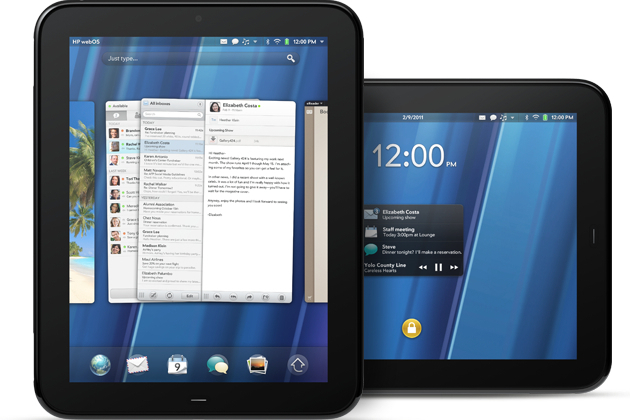 And just last week, HP launched its TouchPad with the webOS system. Of course, while all this tablet activity happened in the first half of 2011, Apple improved the iPad with a successor device that’s even faster than the original, has two cameras and can stream media to HDTVs. Fast-forward to present day, and now there are a number of tablet choices that simply didn’t exist 14 months ago. It can be overwhelming to pick and choose, because each tablet platform and device has certain pros and cons, even as most have $499 starting prices. I’m in the unique position of having at least one tablet from each platform in hand right now. After using them all in the past few weeks and months, I can’t tell you which tablet is the best for you, mainly because everyone has different needs. But my hands-on usage of these devices can offer insights as to which have standout features and which still face challenges that might not be acceptable to you. The iPad has the advantage of successful “first mover” status, so when many consumers think tablet, they think iPad. And why not? Apple prepared users for the iPad by honing the iOS operating system since 2007. Put another way: If you know how to use an iPhone or iPod touch, then you already know how to use an iPad; there’s no learning curve involved. Aside from the ease of use, the iPad has not only the most apps available to it, but it has all of what I’d call “top-tier” titles. I’d be hard-pressed to think of a killer app from another platform that doesn’t already exist for the iPad. Apple’s iPad has also provided the widest array of media options for the longest time. iTunes natively has support for major music labels as well as many movie studios and TV content providers. Where it falls short in these areas. it makes up for in the apps: Netflix (s nflx) and Hulu Plus, for example, add content Apple has no license to provide, and these types of apps have been slow to appear on other mobile platforms. Add in simple media streaming to an AppleTV through the AirPlay function, and the iPad makes for a great media solution over competitors. While there’s much to like. and the iPad is a known commodity with great application support, it’s not for everyone, nor for every situation. Earlier this year, I found I preferred to carry a smaller tablet outside the home and I dumped my iPad for that reason. I later picked up an iPad 2, but my use cases for it are limited to around the house: in bed, on the couch or at the kitchen table. Many consumers tote their iPad all the time,o58itf and while you can take it anywhere, it’s not as easy to use everywhere as a smaller device is. 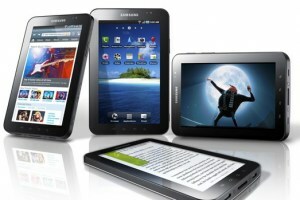 People looking for more portability might consider a 7-inch Samsung Galaxy Tab, BlackBerry Playbook, or HTC Flyer, for example. Apple’s iOS has also had a few gaps by comparison, perhaps the most notable being the annoying notification system. That’s due to change when iOS 5 arrives in September, bringing a host of other new features that look appealing as well. If you want a large but lightweight tablet that offers a rock-solid experience and the widest array of applications, the iPad should be at the top of the list. Folks that prefer smaller tablets, need Adobe Flash(s adbe) support or want to customize the experience more by tinkering might consider another option. iPad Pros: Widest selection of apps, media and accessories; solid user experience; overall stability; great performance. iPad Cons: Lacking features desirable to some: widgets; unobtrusive notifications; variety of customization options. BlackBerry PlayBook: Flash monster, but where’s the email? Research In Motion took a bold step by not using their existing BlackBerry operating system for the PlayBook tablet, but it was the right call. BlackBerry OS hasn’t evolved to effectively compete against newer platforms such as iOS and Android (s goog), nor has it offered a solid web-browsing experience by comparison. 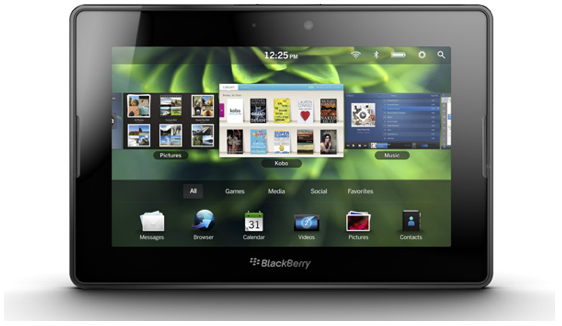 Instead, the 7-inch PlayBook uses the QNX operating system, which brings many superb features, such as excellent multitasking and solid support for Flash. I also like the fast browser, excellent speakers and the gestures used to navigate the tablet’s interface as well as to wake it up from sleep mode. Third-party applications have been slow to appear for the PlayBook, so once you get through the basics, the software store shelves get a little bare. This is one of the two most limiting factors to the overall sales success of the PlayBook; the other is how it handles email. The PlayBook shipped without a native email client, leaving me to fend for myself with using mail in the browser. That solution works, but requires constant checking and refreshing of the browser; there’s no way for the tablet to notify me when new email arrives. If you have a compatible BlackBerry handset, however, the PlayBook can use the phone’s email client in a bridge mode. I personally like the 7-inch form factor of a tablet, so the PlayBook fits the bill for me in that regard. It plays Flash (s adbe) and other videos extremely well, and can do so while other applications are running alongside. But those videos will be limited: You won’t yet find Netflix here, for example. And that points to the software situation, which is limited. Enterprises that are BlackBerry-centric will gain more value from the PlayBook than most consumers will, although a limited number of individuals are enjoying their PlayBook purchase. They’re likely making compromises however: Not minding the necessity of pairing a handset with the tablet for email, and living without a vast array of third-party apps and media options by comparison. If you can deal with the same limitations, the BlackBerry is a portable, powerful performer and will improve when RIM releases the native email client. 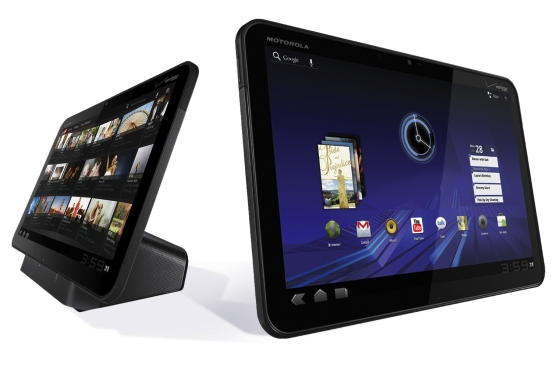 HP’s TouchPad is the newest of the bunch, but its roots harken back to January 2009. It was then that Palm introduced its new webOS platform and the first smartphone, the Palm Pre, to run it. HP bought Palm for $1.2 billion in April 2010 and retooled the operating system not just for smartphones, but for tablets too. The HP TouchPad is very iPad-like in looks (it uses the same 9.7-inch display), packaging and components, but once powered on, it’s easy to see the different user interface approach webOS takes. To a large degree, the TouchPad faces the same challenge as RIM’s BlackBerry PlayBook; namely, a small number of third-party applications. So, it’s important that HP has the basics right, and in my usage, I’d say it’s mostly successful. Browsing is excellent, and the email experience is arguably second only to that of Google’s. Multitasking is effective and similar to that on the PlayBook. Other fine touches include Synergy, which bundles contact information from a number of sources and a solid Messaging system that integrates Skype video, Google Talk and other platforms into a single app. The webOS notification system may be the best of the bunch, and a unique sliding pane view of email is handy. HP has built a very solid tablet framework although performance isn’t yet consistent, as applications can lag at times. The company expects to address that and other open issues with a software update, even as it entices developers to build third-party applications for the TouchPad. The webOS platform shows great promise in this area: It may have the best Facebook app on any tablet, for example. I showed it off in a recent video because it has all the standard Facebook functions but also provides a unique magazine-style view of your Facebook news feed. Among all of the new tablet contenders to the iPad’s reign, I think the TouchPad shows the most promise for these reasons. If you’re willing to take a chance and wait for HP and developers to tune the TouchPad and supporting apps, HP’s new tablet is well worth the look. TouchPad Pros: Possibly the best multitasking and notifications. Basics are well done. Wireless charging. TouchPad Cons: Very new, so a work in progress. Few apps, media choices. There isn’t just one Android tablet, which is both good and bad. By allowing hardware manufacturers to use Android how they see fit, consumers have a wide range of tablet choices with sizes ranging from 7 inches to 10.1 inches. Some Android tablets have 3-D cameras, while others don’t; the same can be said of USB ports, memory card slots, and full keyboard docks. But Android tablets from Motorola (s mmi), Samsung, LG, Acer, Asus and others share one commonality: They all run on Google’s Honeycomb operating system. Although Honeycomb was the first tablet platform to follow Apple’s iPad, it actually appears to need the most work yet. No matter which Honeycomb tablet I use, I still see stability issues in the form of software crashes or applications that don’t properly scale up. Stability is less of an issue with Android 3.1, but the third-party application situation hasn’t noticeably improved in a meaningful way. For some reason, software developers aren’t rushing to build or port apps for Google tablets. Simply put: Honeycomb felt rushed to me when I first used it in February, and it hasn’t fully matured yet. It’s not all bad, however. Users of Gmail, Google Talk video calling and Google Maps will find much to like. These services run well on Android tablets — better than on other platforms, where they’re available. This is part of the reason I switched to a Google Android smartphone last year. Google Music shows promise, as does Google Video for movie rentals and purchases. And although not as flashy as competitors, Android’s multitasking is effective. But more than any other tablets available today, those running Honeycomb appear most like a poor imitation of Apple’s iPad. It’s as if Google is trying to enable all the same features and functions, but falling short in the user experience: a common complaint of Android in general, although I believe the platform has greatly improved over time. I actually prefer the Gingerbread experience — created for smartphones — on my small Galaxy Tab over any of the Honeycomb tablets I’ve used, and I’ve used a few, ranging from the Motorola Xoom to the budget-friendly Acer Iconia Tag A500, plus some in-between. Early adopters of Android smartphones have seen this before with the platform, and may be apt to ride out the situation as Android tablets improve. But other consumers may be hard-pressed to deal with Android’s current nuances, issues and lack of software. If you like the ability to hack around in Android and don’t mind software crashes, or if you’re a heavy user of Google services and are willing to wait for platform improvements, you have a number of Android tablets to choose from. Android Pros: Excellent Google service integration; wide range of hardware options and tablet sizes. Android Cons: Stability isn’t perfect; app selection is lacking; limited but growing number of media services. As a secondary device, it’s likely most people don’t even need a tablet. Smartphones, netbooks and notebooks can easily suffice for mobile computing needs. But tablets have their strengths too, offering a personal, more immersive touchscreen experience in many situations. Those situations vary, as do all our individual preferences and requirements for a tablet device. That’s why there’s no “best” tablet I can recommend for everyone. Each has something unique to offer, while all of them are likely to improve over time. Most are made with similar — if not the same — hardware components too, so that places a greater emphasis on the user experience, software and ecosystem. 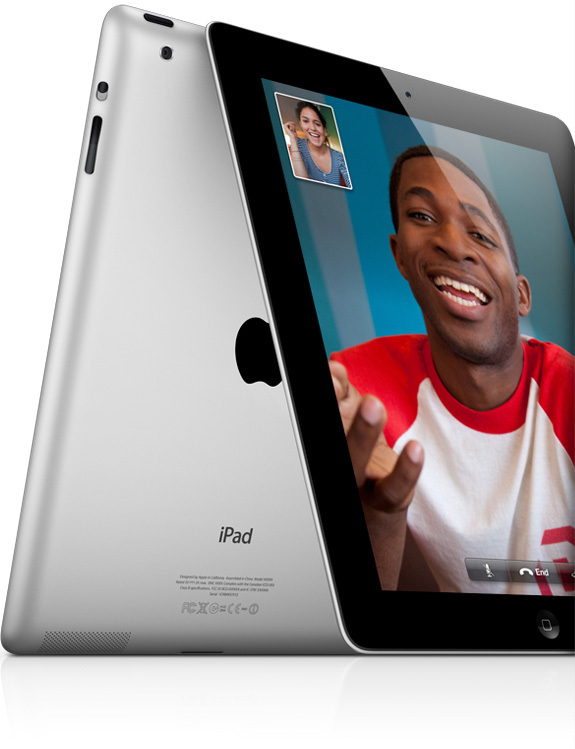 For many consumers, Apple’s iPad brings the total package like no other tablet, as evidenced by sales figures. But the young tablet market offers something for everyone, and that means you can pick and choose which suits you best; something you couldn’t do before this year. I have been waiting to buy something, just not sure what. I really need an electronic calendar schedule and saw my friend’s color coded schedule on her ipad. Able to color code herself, kids and husbands activities. Do I have to buy an ipad if that is what I really want? Not sure what else I would use it for. I read this post keenly. I think there is not a single tablet having all qualities. But i think apple’s tablets are pioneer. Great article. I like tablets a lot. Do most of my work on them and still tell people if they can buy only one thing for all around use, it probably won’t be a tablet but instead a small laptop. Other than that it is personal preference. Ipad has the edge in apps, but I tell people to look at what they’re going to be doing with the tablet. If the tablet you like has the apps your going to use it’s a fit. There are new tablets coming these days, first came samsung, motorola now blacberry, sony, etc have launched world class tablets for users…Each one of them contain latest features, apps and a lot more to engage us all the time…The choice depends on the activities users are involved with and the network connectivity..and if my person choice to be asked..Samsung rocks. I Think Apple iPad is one of the best of all of them.I have already used iPad,Samsung Galaxy (Android) and blackberry Playbook.and i Find Apple to be best one to offer. Although HP TouchPad Looks promising too, but if you go through youtube you can find a comparison video of iPad v/s HP Touchpad and you will come to know what’s better. Only Problem with iPad is that it doesn’t have Flash that’s it, Rest Everything is Value for money. “thereâ€™s no â€œbestâ€ tablet” for all is surely true. Compromises in-terms of QoS, price value and the look, are always trade-off elements. Maybe we have to wait few more years to see some real all-in-one lablets. Best slate for me? The one I DON’T have! Joking aside, I’m having a blast with my new N570 netbook. As others have mentioned, Windows does things the other slates simply cannot do, and it’s those things that I need in a portable device on the go, keyboard included. That said, a I think 7″ slate would complement a 10″ netbook nicely. But I’m going to have to see that in a Windows 8 variant before I commit to a purchase. Also, as a consumer, I would think it’s best to wait and not buy into any bleeding-edge hype. First-generation devices never come out perfect and have always been the quickest to become obsolete. It wouldn’t be a stretch to call those buying into the slate hype today as “beta-testers” for the more smarter/frugal crowd. I am highly surprised that you find the experience of Android Honeycomb to be in need of the most work among tablet operating systems? The tabbed browsing on Honeycomb is solid and functional and much improved over Gingerbread. The GMail integration is rock solid, the number of apps is accelerating and the quality improving. Compare that to the PlayBook with no email client, poor battery life, and almost no application support. The device is is essentially worthless unless you are using a Blackberry and even then you cannot tether it on some wireless carriers. Next the TouchPad which despite being a beautifully designed consistent OS manages to be sluggish and unresponsive still this far after it was first introduced by Palm. I wanted the TouchPad to be great, in my mind it was going to be the third player in what seemed to be a closing field of battle. The changing of the guard and defection of the core teams that built and designed webOS is an indication of the troubles the device is facing. HP is in the device for the long hall but with the visionaries gone (Rubenstein, Matias Duarte), it will be quite some time before it bears fruit. I had a Palm Pre and loved the feel of the OS it was a joy to use. But it stagnated and I moved on to Android which surpassed it in many ways. Maybe webOS will make capture a user base down the road, but for now the device feels slow, unresponsive, typing lags behind the fingers. There are delays that even HP acknowledge will be fixed. In closing I entirely disagree that the Android Honeycomb experience needs more work than the webOS or PlayBook. These devices are utter failures. Granted there is no iPad competitor in Android at the moment, but it is many laps ahead of the rest of the competitors. Marcus, we can have differing opinions here and both be right, given that we have different mobile computing needs. If Honeycomb works for you, that’s great. In my experience, I prefer Gingerbread over Honeycomb so far; tabbed browsing is easily had in Gingerbread with a third-party browser such as Dolphin HD, for example. I agree that the Gmail experience is solid, but I find the Calendar to be lacking. In terms of the number of apps accelerating, I can’t deny that, but last I checked there weren’t even a few hundred tablet optimized apps. I too felt that webOS stagnated and I dropped my Palm Pre for Android, and fell that HP has work to do. But I like what I see in what’s been delivered so far with the TouchPad, assuming that HP will address the performance lags as promised. Note that I haven’t bought a TouchPad yet; I’d like to see HP make good on its promise first. ;) Appreciate your thoughts! No mention of the ASUS Transformer? It fills the specific need of someone who needs a well-integrated keyboard on occasion. Agreed, the Transformer with its unique keyboard dock does meet that need. Since it’s an Android tablet and there are just too many of those, I didn’t break out all of the individual tablets there. Thanks for pointing the keyboard dock out on the Transformer, Jonathan! Try to create a new label for gmail. eMail and gmail different apps with different behavior. It’s hard to have strong data typing and loosely coupled data/”partial apps” in the same app. hence the crashes. Which seem to be a result of Android trying to create and/or instantiate Java objects. One can implement the familiar banana as a fragment, which moves through the system and collects/provides data based on occurrence. Occurrence based data binding, which binds logic as a [sub]set. Which then allows us to find recipes, where bought and when and by whom , which menus had it was last on and with …… Wherever one uses an item and how, the data will be documented by the system. “Apps” become aggregation points with/without behavior which can be created on the tablet/[maybe phone]. I just bought the Fujitsu Q550 from tabletpcssource.com. It’s a windows operating system and the reason I got that was because the windows systems works best for my business. Mostly all of my documents are on a word and excel or other windows software’s. It’s just more convenient for someone who is on the go. What about the tablets shown at WPC 2011 today? I love being able to run Adobe Lightroom, Photoshop, Premiere, and other full 64bit apps on my Windows Tablet. Which of the above tablets are capable of editing HD video from a RED camera, processing RAW DSLR images, creating 3D raytraced images, organizing handwritten notes, or even connecting to a printer? Adam, I think we’re comparing apples and oranges here; see my earlier comment. Specific needs will dictate choices, of course, but *most* consumers aren’t editing HD video from a RED camera on any device. ;) Handwritten notes are supported on the HTC Flyer, BTW and the iPad & TouchPad natively support wireless printing. With Google Cloud Print, any tablet can support printing over the web for that matter. I can’t account for every possible use case and requirement is the point I’m making. This article is intended as a starting point and can’t possibly encompass every scenario. Nook Color FTW half the price of an ipad and so much better! Yup, we’ve covered the $249 Nook Color here a number of times. First and foremost, it’s an eBook reader with some tablet functionality out of the box. I considered tablets as they’re bought for this piece, not how they can be rooted, hacked or run on custom ROMs, but your point is well taken. It would have been nice to at least mention that there are several Windows tablets also available. In fact, with new offerings from HP, Fujitsu, and Motion shipping there are more Windows options than any other OS save Android. As you say, the best tablet is the one that meets your needs. If you need to edit Office or Acrobat files, run enterprise security or configuration software, of just browse without regard for whether a site uses Flash or Shockwave or Silverlight or anything else, you might want to sacrifice a slick UI and longer battery life for a Windows tablet. I have an HP Slate and I love it. Kevin, Windows is key to commercial use and provides compatibility and the ability to print, display, share, communicate, vary in design/style, etc… What is key is that SLates like the Fujitsu Q550 offer advanced security like TPM and swapable batteries. The challenge is the interface is not as “pizzazy” as the others, but not really an issue when you need compatibility and security. I agree, if movies and games are your thing, iOS or Android. If you need to get work done, Windows. Paul, I’m in general agreement with you, although your thought is skewed towards the enterprise more so than getting “work done” IMO. Neither you nor I can define “work” as it applies to all. In the corporate world “work” likely does require TPM security and enterprise-class apps / services. It always has. And yet by comparison, tablets over 10 years haven’t taken off in the enterprise with the velocity they are in the consumer and SMB space. That’s where I’m coming from. I’m not suggesting there isn’t a need for Windows-powered tablets; there likely always will be one. But it will always be limited if the tablet is just a Windows PC crammed into a slate or convertible form factor. @Paul: I wonder what I have been doing these past 17 years of not using MS Windows on my computers and telephones (and PDAs)… according to you I haven’t done any work. Luckily no-one has known, so they still see what I’ve done as work. PS: I’m not a MacOS user either… but I did manage to get my ‘gaming’ done on OS/2 until 2001. Since then I ‘watch movies’ using SuSE and openSUSE.org. Hopefully someone soon releases (for the public) a tablet which ships with the KDE Software Collection which to me is looking like the strongest contender in the long term. To some degree, it depends on the activity, Matt. I still don’t read ebooks on the iPad all that much anymore. For that, I’m using one of the smaller tablets. Watching video can be done on most, so it depends on where I am, how much room I have, etc… Of course (and this is one of the points I was trying to make), there are some activities I can’t do on any tablet other than the iPad. My daily Tour de France live streaming through the month of July is iOS only, for example. I guess I don’t have a “primary” tablet right now, but if you had to ask me to choose one, and only one, it would likely be the iPad. Even though it doesn’t leave the house, I can get by with a solid smartphone when on the go. Honeycomb hasn’t impressed me and BlackBerry has too many gaps for my daily use. The TouchPad comes in second for me, but there’s a waiting game there too.